The Global Forum rated Luxembourg overall Largely Compliant with the international standard of transparency and exchange of information on requests. 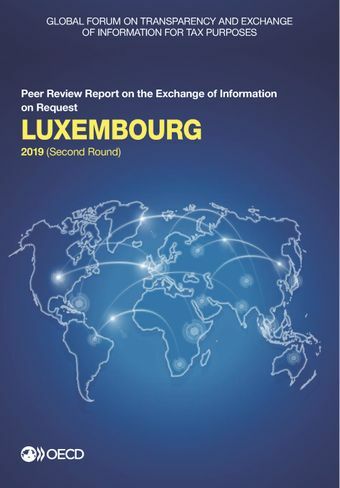 The report concludes that Luxembourg has worked to address the deficiencies identified in its previous report published in 2015 with regard to bearer shares, access to banking information and the monitoring of new EOI practices on access to information and confidentiality. Luxembourg must now improve on the availability of beneficial ownership information on Luxembourg stock companies and partnerships and on the application of rights and safeguards of taxpayers. On the cooperation side, overall, Luxembourg responded to over 2 300 requests received during the review period. EOI partners were generally satisfied but Luxembourg must improve the timeliness of its responses, and ensure that it devotes sufficient resources to its EOI activities.